There are over 15,000 tours to choose from, or maybe you would prefer to create something bespoke to suit your family’s requirements. Click the logo above to start browsing and create your unique family travel experience. We are the Frias Family! We are Stephanie and Carlos with our kids, ages 4 and 5. We are currently one year into our nomadic journey around South America. We will be visiting every country on the continent by land over approximately four years. 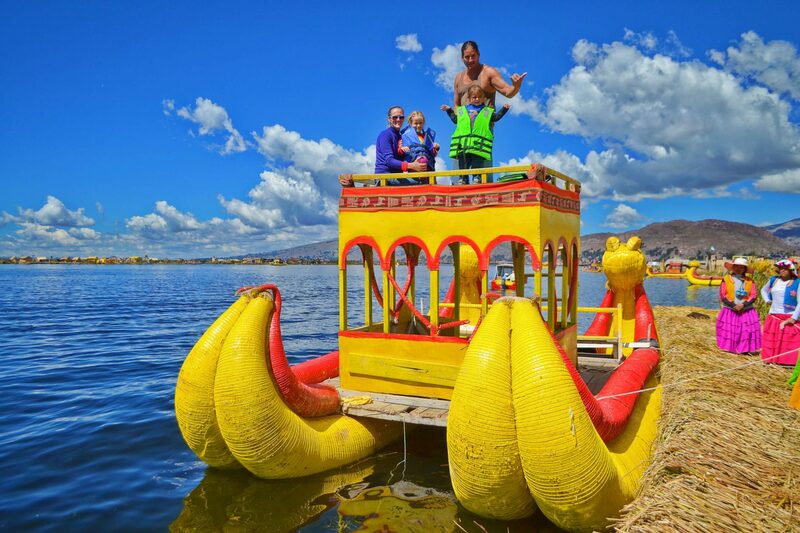 For this tour, we found ourselves in Peru near the city of Puno on Lake Titicaca. We had never heard of Tours By Locals prior to the exposure on Our Tribe Travels. The name of the company immediately caught our attention, as we are always seeking the most locally authentic experiences as possible. Because of it’s presence on Our Tribe Travels, we knew it was without any doubt a family-friendly tour company. We quickly jumped on to the site to see if there were any tours available in English, in Peru. It was a pleasant surprise to find so many options that we didn’t know which one to start with. From the first glance, it was nice to see local guides that are native to the areas we took an interest in. 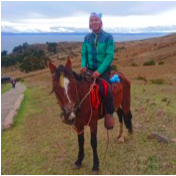 We chose Miguel Angel because he had prior experience working with young families, he was from the area, and he was fluent in the three languages that were necessary to have a seamless experience with the local culture. It was easy to communicate with both our guide and other member of the Tours By Local tribe. Because we were going a boat tour with young kids, our guide was helpful in helping us determine which one was most appropriate. We are so glad that we chose a shorter tour, the timing was perfect for the attention span of our kids. A week prior to our tour, we had an emergency that delayed our arrival to the destination city for the tour. We assumed that our last-minute cancellation would mean that our tour would be missed. However, we were pleasantly surprised that we could easily reschedule. The Tours By Local team and our guide were very understanding of our situation and postponed our tour for the following week with zero hassle. Our guide arrived right on time to pick up in our hotel lobby. We expected to take a drive into the port to board our boat, but we were delighted to learn we didn’t have to go anywhere. The boat, hired locally to support the community, arrived at the private dock or our hotel. 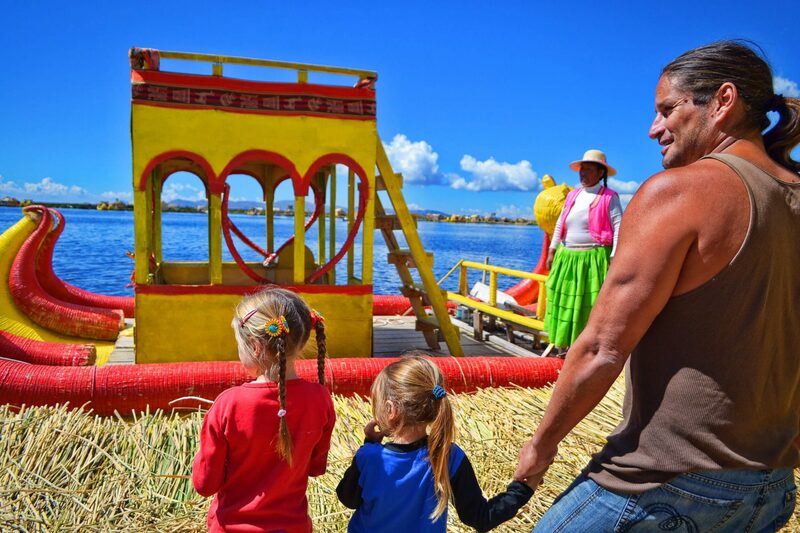 In just minutes we were boarded on our way the chosen destination, the Uros Islands of Lake Titicaca. Our guide was diligent with safety measure for our children, and was eager to answer all the million question that they asked. He had maps and wildlife guides and taught us a few words of the local language, so we could meet and greet the locals with ease. Upon our arrival at the islands, we were thrilled to be the only guests visiting. 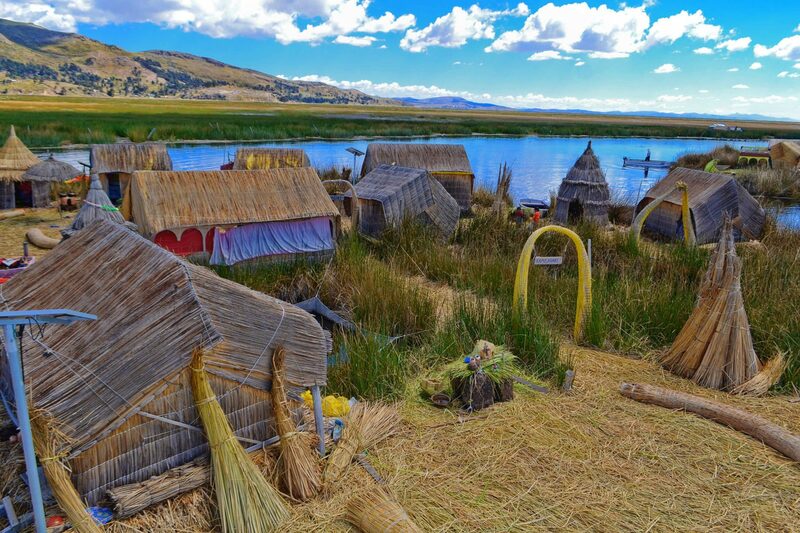 The Uros Islands are known for a being a bit of a tourist trap, with some islands being inauthentically recreated only for tourism. But, Miguel knew which island to take us so we could witness the lifestyle of a family that genuinely lives there today. He also purposefully planned for us arrive at a time when he knew other boat tours were unlikely to be present. 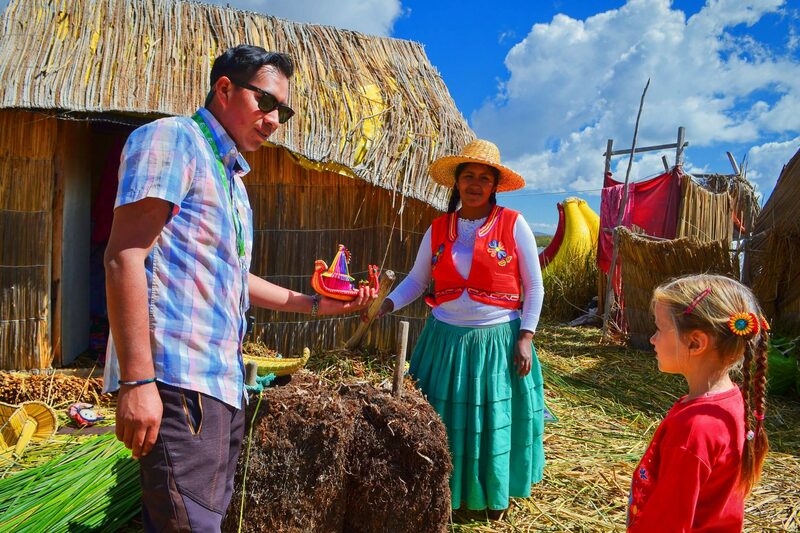 His knowledge of the local language, Spanish, and English made it very easy to understand the in-depth explanations of life on the Uros Islands. The best parts of the tours were when we had the opportunity to dress up like the locals and when we got to go a traditional boat ride. The dress up didn’t cost anything extra and was a very nice to have personal interactions with the people. The boats are constructed of the reed grass are steered with oars by the local teenagers. We were grateful that our guide had let us know in advance how much additional cash we should carry to be able to participate in this add on. We were initially skeptical of extra costs, but in the moment, we understood that this was an incredible way to support the local culture and to enhance our experience. Overall, our tours with Tours By Locals was an outstanding experience. We understand that in comparison to other similar tours in the Puno area, those with Tours By Locals may be slightly over priced. However, the variation in price is likely made up for with stellar service. We had a very nice, clean, modern boat. Our guide spoke flawless English in addition to the other two languages necessary for the tour. We never encountered the usual crowds, we were never rushed our tour, and there was no pressure to purchase add ons. In addition, since we were the only people on our particular tour, we basically had the quality of a private tour. We would without hesitation recommend both Tours By Locals and this specific tour with Miguel Angel to other traveling families. 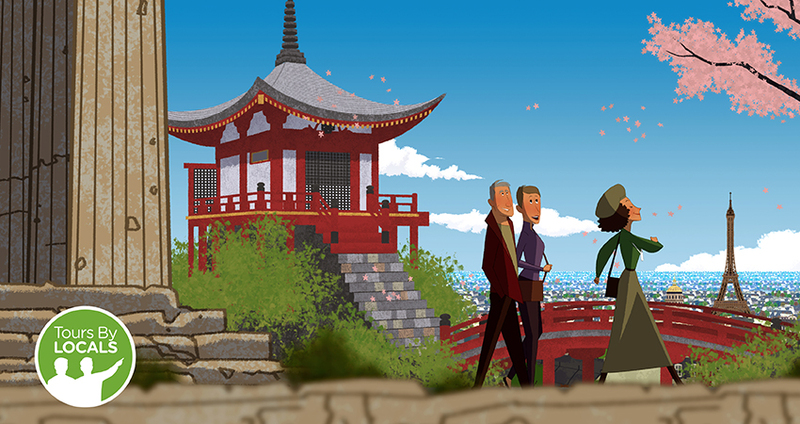 We hope to take another tour with Tours By Locals in the near future. If you would like to meet Miguel, or view the other experiences in the area, you can view the details here. Tours By LOCALS are offering Our Tribe Travels members $20 discount off any tour. This code needs to be redeemed by the end of December 2018, but your booked tour can be taken after this date. WHO ARE TOURS BY LOCALS? Launched in 2008, Tours By LOCALS provides private tours for travellers through their carefully selected network of local tour guides, each of whom is keen to share their knowledge, experience and expertise. It’s a great way to discover places that are off the beaten track and experience what a city has to offer through the eyes of a local. The tour groups are small – perfect for one family which gives you the freedom to travel at your own pace. You can select the guide that you feel would best suit your family dynamics. To help you to choose you can read the guide’s profile, watch their video introductions and read their reviews. You can customise a tour to suit your family’s interests and the age of your children. The website allows you to liaise directly with your chosen guide to discuss your bespoke experience.